Objective To explore the opinions and knowledge of Australian pharmacists about impairment in the profession, and their awareness of new legislation regarding impairment and mandatory reporting. Setting Pharmacy practice in Australia. Method Pharmacists’ opinions and knowledge were explored using a purposively designed, de-identified survey distributed by an intermediate mailing house to randomly selected pharmacists registered with the Pharmacy Board. Descriptive statistics and thematic analyses were conducted on the data. Key Outcome Measures This being an explorative study, we analysed various items using standard statistical methods and qualitative thematic analysis for responses to open-ended questions. Results Responses from 370 registered pharmacists were obtained. Of these, nearly 60% were not confident in their knowledge of legislation relating to impairment. The vast majority stated they would consider reporting an impaired colleague in principle, but only after consulting the colleague. Older pharmacists demonstrated increased awareness of new legislation; this was accompanied however, by a marked decrease in confidence regarding knowledge about impairment. Thematic analysis of the qualitative data revealed four main themes: (1) perception of impairment and support systems available (2) stigma related to implications of impairment and whistle-blowing (3) factors affecting reporting of impairment and (4) management of impairment. 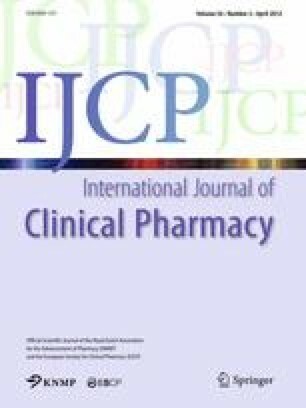 Conclusion Australian pharmacists in this study recognised the importance of the issue of impairment, but appeared to lack confidence and/or awareness of legislative requirements regarding impairment in the profession. There is a need for educative programs and accessible, profession-specific rehabilitative programs to be instigated for management of impairment in the profession of pharmacy in Australia. We are grateful for the contribution of participating pharmacists in NSW, Australia. Pharmacy Board of Australia (2010). Pharmacy Board of Australia. http://www.pharmacyboard.gov.au/. Accessed 5 Nov 2010. Drug and Alcohol Services South Australia (2001). Alcohol and drug use among nurses: Guidelines for response in the workplace. http://www.dassa.sa.gov.au/webdata/resources/files/Response_Workplace_Nurses.pdf. Accessed 9 Dec 2011. Australasian Legal Information Institute (2010). Pharmacy Tribunal of NSW 2009: Larden NSWPHT (25 May, 2009). http://www.austlii.edu.au/au/cases/nsw/NSWPHT/2009/1.html. Accessed 9 Dec 2011. Australasian Legal Information Institute (2010). Health practitioner law national regulation. http://www.austlii.edu.au/au/legis/nsw/consol_reg/hprnlr519/. Accessed 9 Dec 2011. Australian Institute of Health and Welfare (2003). Pharmacy labour force to 2001. Australian Institute of Health and Welfare, Canberra AIHW cat. no. HWL 25. (National Health Labour Force Series no. 25). www.aihw.gov.au/WorkArea/DownloadAsset.aspx?id=6442458283. Accessed Dec 2011. Pharmaceutical Society of Australia. Pharmacist Support service. http://www.psa.org.au/site.php?id=1074. Accessed 9 Dec 2011. Pharmacists Recovery Network (2011). State PRN information. http://www.usaprn.org/statePRNinfo.htm. Accessed 9 Dec 2011. National Clinical Assessment Service (UK), http://www.ncas.npsa.nhs.uk/about-ncas/. Accessed 9 Dec 2011. Royal Pharmaceutical Society (2011). Support for pharmacists. http://www.rpharms.com/support/our-support-service.asp. Accessed 9 Dec 2011. Medical Council of NSW (2010). Notifications of impaired practitioners to the Board http://www.mcnsw.org.au/index.pl?page=39. Accessed 9 Dec 2011. Victorian Doctors Health Program (2010). Victorian Doctors Health Program. http://www.vdhp.org.au/index.htm Accessed 9 Dec 2011. Doctors Health Advisory Service (2011). Doctors Health Advisory Service. http://www.dhas.org.au/. Accessed 9 Dec 2011. Nursing and Midwifery Health Program Victoria (2011) http://www.nmhp.org.au/NMHP/Welcome.html. Accessed 9 Dec 2011.